This is one of a few shots from this early morning. 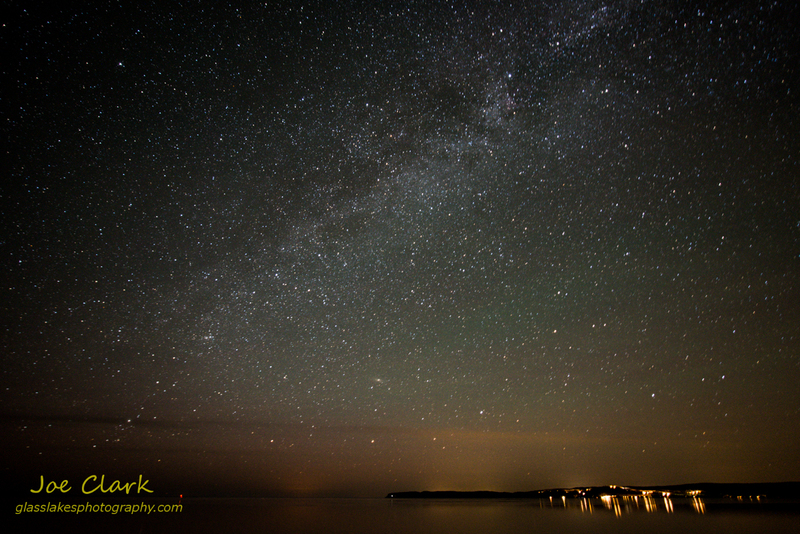 The Galaxy (Milky Way) hangs in the sky above the Manitue Passage. The lights of the crib, a lighthouse in the passage. The Leelanau School, a college preparatory boarding school sits to the far right of the image. The Homestead, a Northern Michigan ski resort is the most illuminated. During the summer months The Leelanau School opens their lakeside observatory to the public, more information can be found at this link. Prints can be ordered in the gallery.